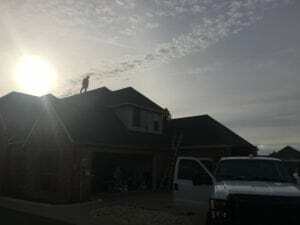 Celina Texas Solar Panel Installations have began as the cost of solar panels have dropped over 80 percent. 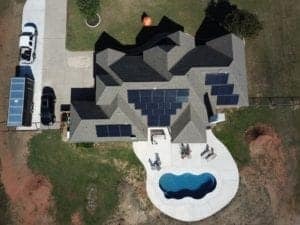 In the last two years we have seen a boom in solar panel installations in Texas as homes owner convert their utility bills into HIGH yielding zero risk investments. 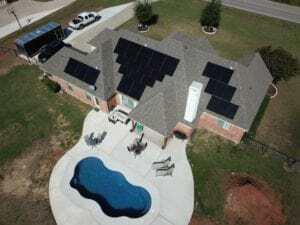 The local power company is Grayson Collin Electric Cooperative and they offer their customers net-metering. This is a billing method that allows you to bank energy credits during the day that can be consumed later at night. 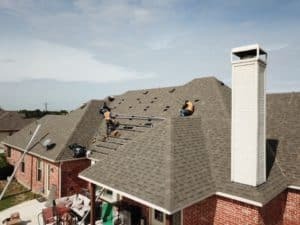 Nearly every location in Celina Texas is perfect for a solar panel installation. 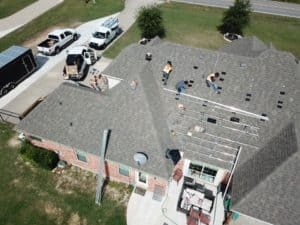 The Solar Panel Installation program in Celina, Texas by Aztec Renewable Energy is catching on quickly. We now have a strong local presence as we just moved to Celina, Texas. We plan on making significant investments into the community and seek local employees in the area. We offer 20 year zero down financing and the savings can pay the loan payment and put money in your pocket! 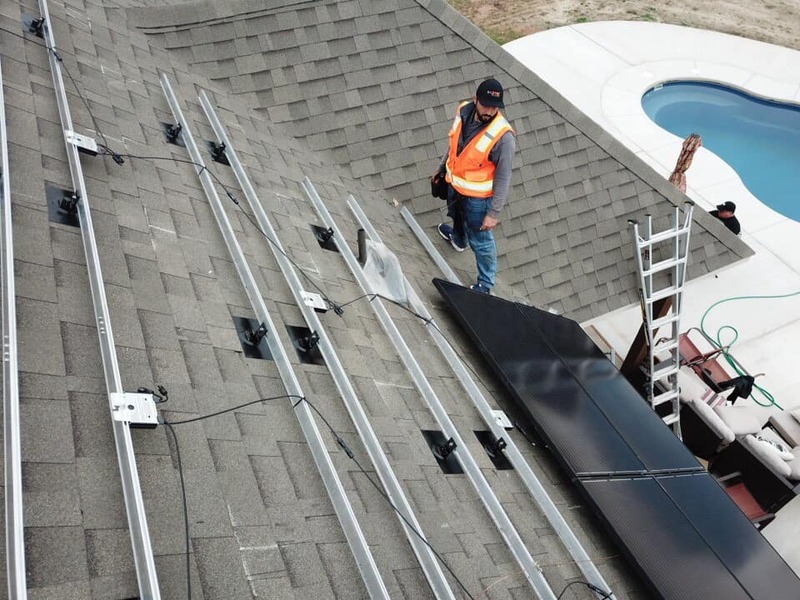 Adding more value to the real estate market in the region is the project of Aztec Renewable Energy, which involves installation of Utility Grade solar power panels for domestic and commercial use. The installation is carried out with utmost professionalism and impeccable process. This gives an edge to the residential and commercial real estate project. The renewable energy project offers high technology and high performance equipment and resources. The latest equipment makes the project highly efficient, providing best in class output and performance. The whole paraphernalia is installed by professional labour and manpower, who are highly proficient in their job. Does Solar Energy REALLY Work? 1999 Renewable Energy Pioneer: Transformed 32 Power Companies and 16 Cities. Servicing all of Texas and Oklahoma! It is estimated that the population of Celina is set to grow to around 35,000 by 2020 in comparison with the current figures of about 10,000. The growth in population would be accommodated in new high quality homes that are being built by seven housing developments across Celina. Currently there are around 3400 active water meters in Celina and based on this forecast, about 10,166 housing units are already being added. Additional 11,462 units of houses would be added in the second phase. Celina is set to witness a real estate boom, which does not happen every day on the great land of America! The customers have an option to select from amongst the best of the equipment, which is offered at the best price and the products are covered with warranty. The customer satisfaction that comes with the equipment is outstanding and this is because of the wide experience that the business has. The business is not a start-up and knows its work very well. This is one of the reasons that the business is enjoying constant A+ business ratings. Presently the business is serving more than 1100 customers across the region and the customer satisfaction is reflected by its outstanding reviews online. 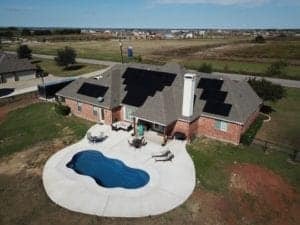 Aztec Renewable Energy leverages our industry knowledge and buying power for Celina Texas Solar Panel Installations as we negotiation with distributors and manufactures from around the world. We seek to provide the absolute best price and performance for our customers. The rural electric utility cooperative was initiated in Van Alstyne, Texas in 1937 and provides electric and telephone services including internet facility through its unregulated subsidiaries. The area covered by the cooperative is growing by the day and the locations, including Celina, Texas are embedded on Google maps for better communication and ease in finding. So, electricity and internet connectivity is not an issue for the real estate market in Celina, which is another edge for the region.